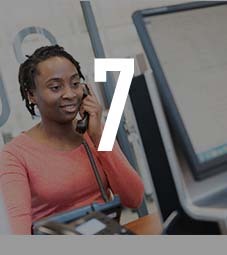 So that we can give you the right number, please answer a few questions. 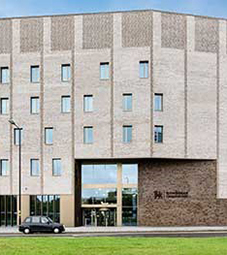 Are you applying to BCU? Are you a BCU student? Taking a Higher Education course is a big investment in your future, and you’ll want to be sure that you’re choosing the right course and the right university. 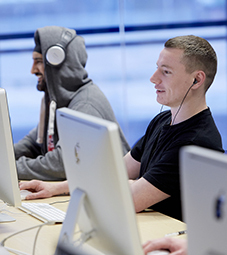 So here are our top reasons to choose Digital Technology at Birmingham City University. 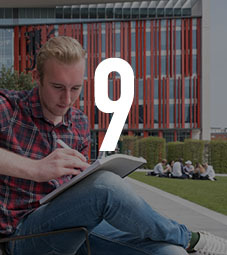 Our commitment to developing graduates with the skills and experience that employers need means that 94 per cent of our graduates are in employment or further study within six months (Destinations of Leavers from Higher Education survey 2014/15). 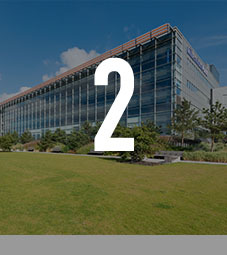 We're investing £6.5 million on improvements to our Millennium Point facilities, including new specialist labs, and a project space with makers’ area, to ensure you have the best possible environment for practice-based learning. To help you to stand out in today’s competitive jobs market, our courses offer a placement option. 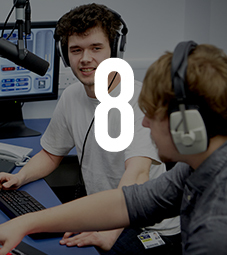 Students have gone on placement to companies including: Disney, IBM, Focusrite Audio Engineering, MUSIC Group, Philips Acoustics and Redditch Palace Theatre. Our Music Technology students have access to the new Royal Birmingham Conservatoire, opened in September 2017, which includes seven industry standard recording studios, a dedicated jazz club and an outstanding 500 seat concert hall. 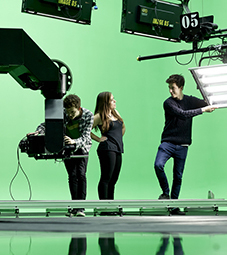 Our cutting-edge facilities are housed in a purpose-built Media Centre and include the largest University TV studio, a green screen studio and broadcast-standard edit suites. 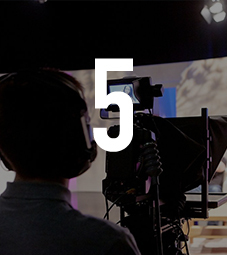 Our studios have even been used for programmes such as The Gadget Show. 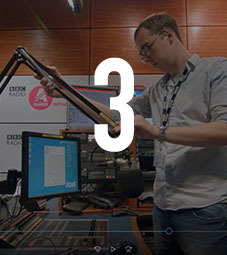 Birmingham has a growing digital technology industry, with BBC3 moving its base here in 2018. Nearly 37,000 people are employed in the digital sector in Birmingham and employment is set to rise further in the coming years. Our student employment agency, OpportUNIty – Student Jobs on Campus, allows you to apply for paid roles at the University, gaining experience in crucial aspects of job applications and valuable feedback on your work. We offer career support and advice throughout your time with us and for up to five years after you graduate. Our Graduate+ scheme embeds career-related skills into every one of our degree courses, from becoming a course rep to studying abroad. To welcome all new home and EU undergraduate degree students starting in 2018 or 2019, we're giving away at least £150 worth of credit to spend in a host of ways, on books and a range of learning materials. Even better, it doesn't have to be repaid. Find out more about the £150 free credit. 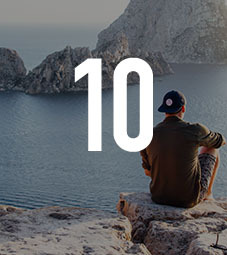 Our International Travel Scholarships give you the opportunity study abroad or undertake an international internship or voluntary placement. Scholarships of up to £1,000 are on offer to support your activity. Recipients have done international voluntary work, attended summer schools and studied for a semester overseas. 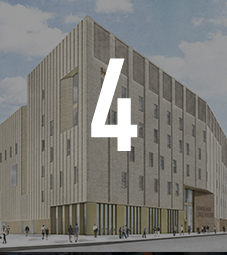 The Royal Birmingham Conservatoire, which opened in September 2017, includes seven industry standard recording studios as well as a dedicated jazz club and 500 seat concert hall. The 159 sq m double height studio is features a three-wall green screen. It is acoustically treated and includes a MILO motion control rig. 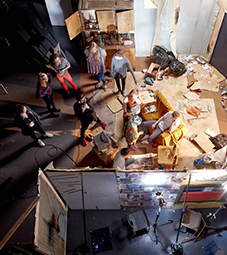 Designed by a BBC Art Director and produced by industry set creators, our film set allows you to practice with a number of cameras and a variety of lighting kits and grip equipment. Our labs feature industry standard software including Maya, 3D Studio Max, Adobe Flash and Dreamweaver for the design and development of advanced multimedia applications. Third year student, Adam chose to study Sound Engineering with us as he wanted to take what he had learnt in maths, physics and engineering and apply it to Sound. Ewan is a final year student, who chose to study Music Technology with us as it was a perfect way to combine his favourite things: computing, electronics and music. We understand that practice makes perfect. That’s why we supply you with state-of-the-art facilities that will help you to become a true master of your craft. You’ll have the chance to develop your creative ideas and concepts with access to world-class facilities. 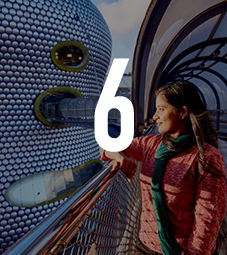 Then, when you reach final year, you’ll showcase your incredible productions at the Odeon cinema in Birmingham City Centre. See how some of our students got on at their film show and listen as they reflect on their time studying at BCU. We prepare our graduates to contribute to all industries in ever more innovative ways. Meet BCU Sound Engineering and Production graduate Pete. After graduating, networking (anywhere and everywhere) really helped him kick-start his career. Now he’s being contacted by top local companies and enjoying a thriving career. 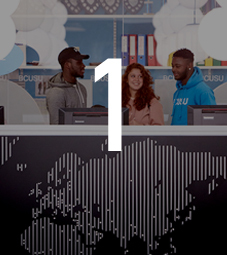 Hear Pete share his insight on how to make the most of opportunities during and after your degree at BCU.